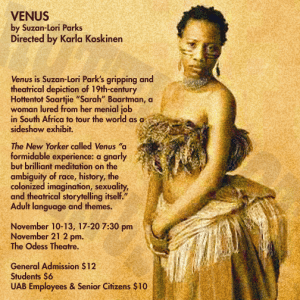 Saartjie Sarah Baartman also known as the `hottentot Venus’ was a famous khokhoi woman exhibited as a freak show attraction in Europe during the 19th century. Born to Khoisan family near the Gambtos River, she was orphaned during a commando raid after which she was then enslaved by a Dutch farmer near Cape Town. She had remarkable physical features that pronounced her feminity most specifically her humongous hips, backside and enlarged labial lips. A military surgeon who was within Cape Town at that time saw her and thought she would be a major attraction in England. After gaining permission from the then governor of the Cape region, Alexander shipped her off to England for display purposes. Little is known about Sarah Baartman. However, the following will help shed some light about this famous South African woman -Sarah Baartman. 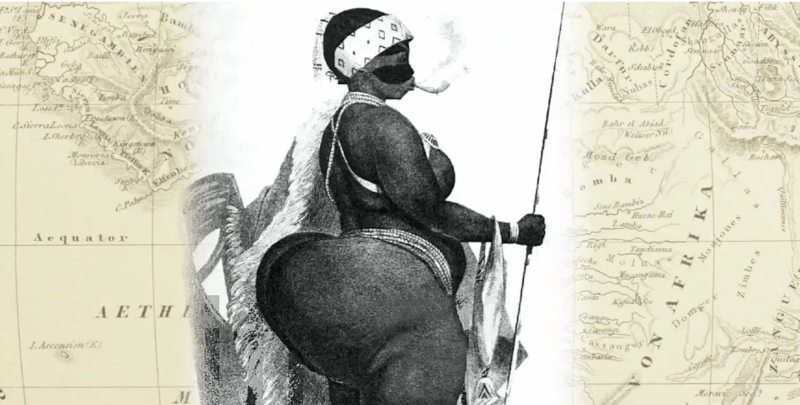 This is one thing that made Sarah Baartman a popular public figure. She had extremely large buttocks and elongated labial lips that hung down 3 to 4 inches. This was considered remarkable since most Caucasian females have less pronounced feminine features. This led her to be labeled as the Hottentot Venus in reference to Venus, the Greek god of fertility. Due to the diverse cultures that Sarah Baartman was exposed to, she developed lingual skills in various languages. 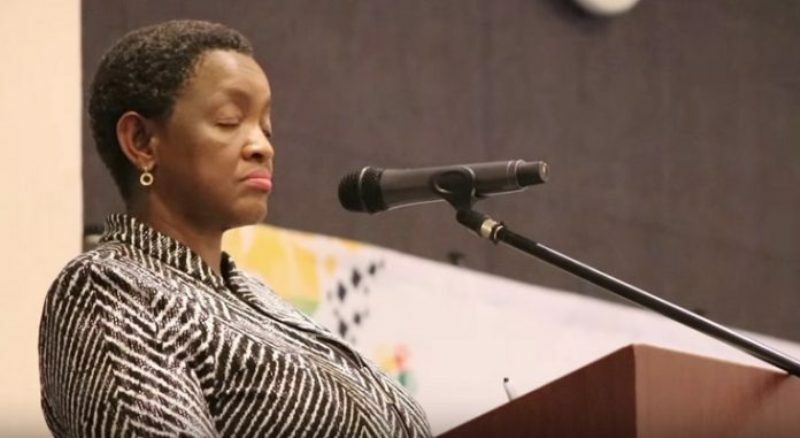 According to reports, Sarah Baartman could fluently speak her native language, French, Dutch and English. During one of her exhibitions, a French man saw her and bought her as a slave. She moved to France in 1814 and was exhibited by an animal trainer in a more pressurized and inhumane condition. During this time she was a subject of various scientific studies and paintings and even elicited some interest from the French national museum. Due to the pressure and dehumanizing conditions she was undergoing in France, Sarah Baartman became a heavy drinker. According to reports, she took up drinking as a solace for the dehumanizing conditions she was living under and was drunk during most of the exhibitions. In 1814, the popularity of Sarah Baartman had significantly waned in France. As a result, she resorted to prostitution so as to support herself. According to reports it is believed that the purported 50 percent profit-sharing with her exhibitor was actually non-existent and she was being paid a measly amount for her shows. 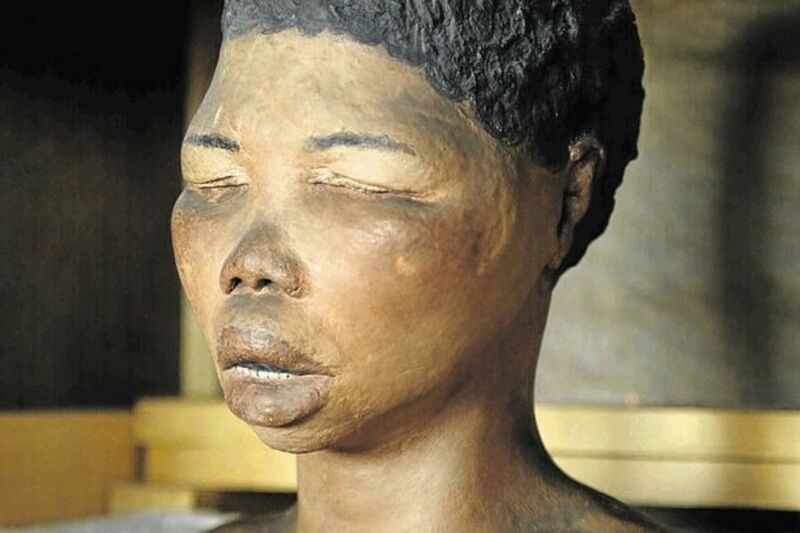 After a public outcry in South Africa, Sarah baartman’s remains were returned in 2002. She was buried at her hometown and the Sarah Baartman Centre for Women and Children was established in her memory.